[New for 2013] With the last of the school preparations completed, it was time to celebrate with a trip to Dairy Queen, you know, that cool Grill 'n Chill that always seems to have the new blizzard ready on the first day of the month. Yeah, we're going there, and good things are about to happen. 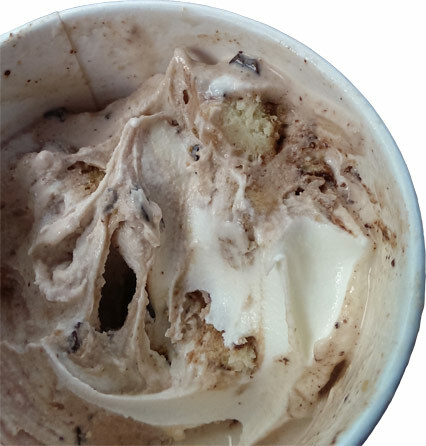 The September 2013 blizzard of the month is the Choco Covered Cheesecake Blizzard! I can't contain myself, you need to know right now that this one is excellent. The "rich cocoa fudge" hooks you from the very first bite and there's no letting go. I expected their typical chocolate sauce thrown in here, but no no no my friends, this blizzard has been upgraded. They seem to have used a sweet, and yes rich, cocoa powder and it totally brings this blizzard to life. Certain blizzards just pop with this sort of fresh intensity, and this is one of them. Whoever made this one did it just right. And the big cheesecake pieces you see in the top right corner there? On the money. It's not a big blast of cheesecake but instead just a nice soft, squishy, ball on cheesecake fun. I was totally having a blast with these fresh ummmm.... ahhh, I'm running out of adjectives. Oh I hope they stay this fresh all month long because that not-solid but not-gooey cheesecake texture is what really helps take this blizzard up a notch. And when I say whole thing.... I mean the big, super duper, large size blizzard which I..... which I.... which I only ate half of because I brought the rest home to my wife. See, I didn't expect to enjoy it as much as I did so I didn't really expect to eat that much of it. Add in the fact that for some strange reason I thought "more than half a large blizzard will somehow stay colder than a small blizzard". Or maybe I was just trying to save two bucks. Or maybe both. 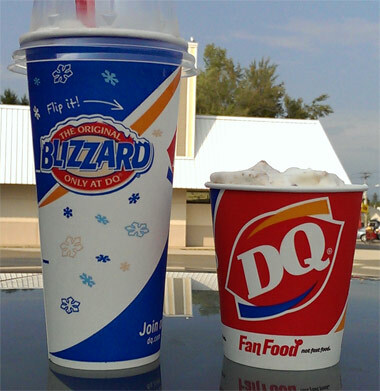 Either way, the large blizzard sure is silly looking in it's tall yet slender cup. It kind of tricks you into thinking "hey, this isn't THAT big". See, I almost always feel full after eating a small, but man was I tempted to finish the large because this blizzard was firing on all cylinders (unlike the scoopmobile). Anyway, go try this one, and may the luck of the draw provide you with abundant and fresh cheesecake chunks. As always, let me know how it goes! 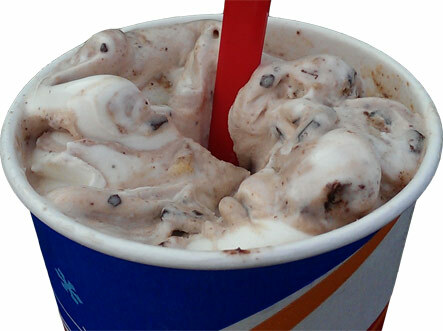 Note: Blizzards are buy one, get one for 99 cents through September 22, so be sure to bring a friend! I am so excited to give this a shot - it seems it been a long while since you gave this kind of review about a DQ product! @Mel: ha, DQ is notorious for being a day late and a dollar short, the worst is when you visit a location several days into the month and they still don't have the supplies for the latest blizzard. welcome to the blog! let us know if you have any questions! @Dubba I haven't found that to be the case, personally. 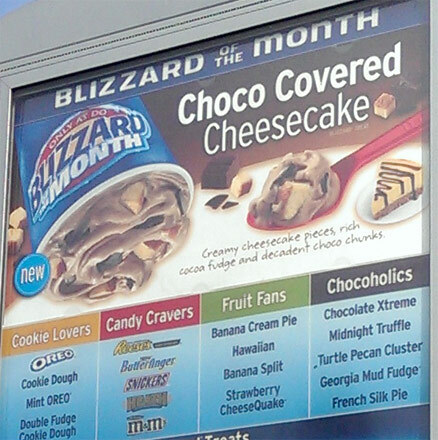 There is a DQ two blocks from where I live, and it's always up-to-date on the new Blizzards. Plus, it has shake flavors that most other DQs don't have, like raspberry, blueberry and pineapple. Plus they have butterscotch sundaes, shakes and malts while most DQs now only have caramel but not butterscotch--ridiculous, since they are NOT the same thing. As far as I've noticed, other DQs in my area tend to always have the new Blizzard flavors. @Libellule: Your DQ sounds AWESOME!! Whoever owns it must be a serious ice cream fan. Of the three DQs that I've visited regularly, only the new grill 'n chill has been consistent with delivering the goods! I just got an email announcing the new flavor-was debating trying it until I read this review. Now I can't wait! @John: BOOOOOOOOOOOOOOO!! Take it back! Take it back!